Nantucket was never a place I’d dreamt of visiting, I actually didn’t know much about the island off of Massachusetts until arriving. 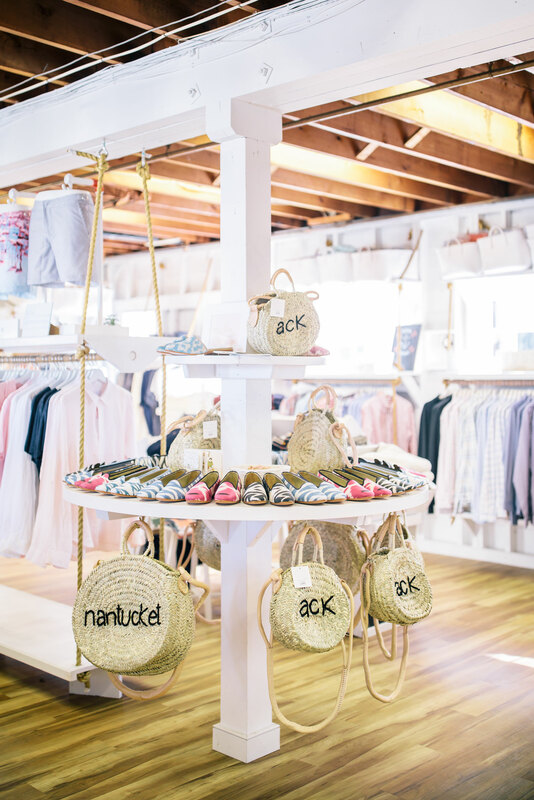 However, when my fellow blogger gal pal, Blare June asked me if I wanted to take a little summer vacation with her to Nantucket, I was all for it. 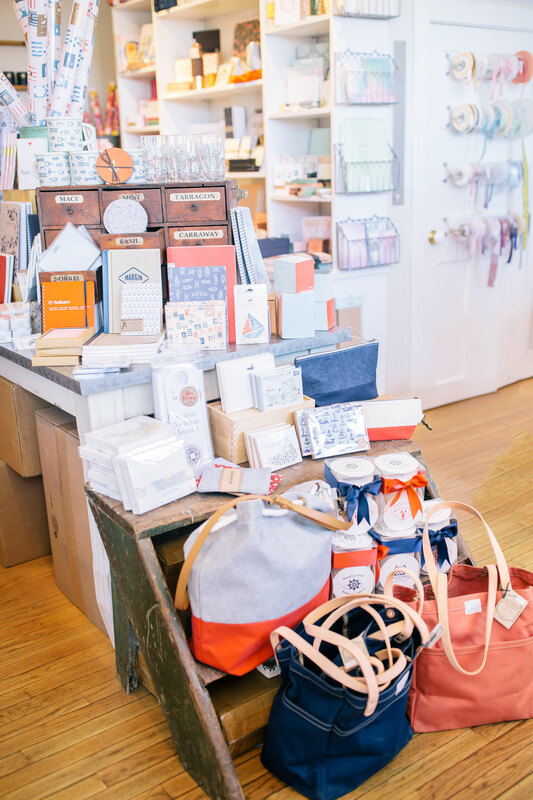 A 3-day girls trip to an adorable seaside town? Count me in! After out trip I can see why Nantucket is such a sought after destination. 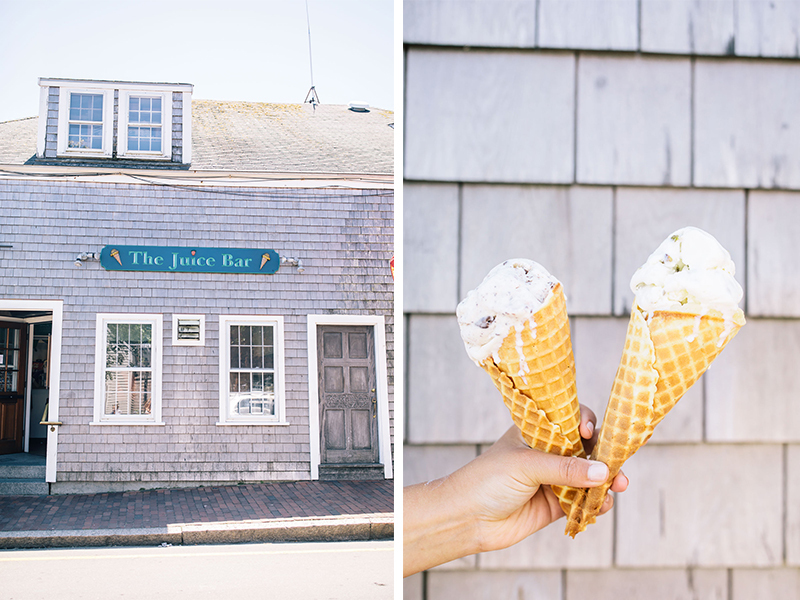 it’s the most charming New England island that exceeded both mine and Blare June’s expectations … and then some. 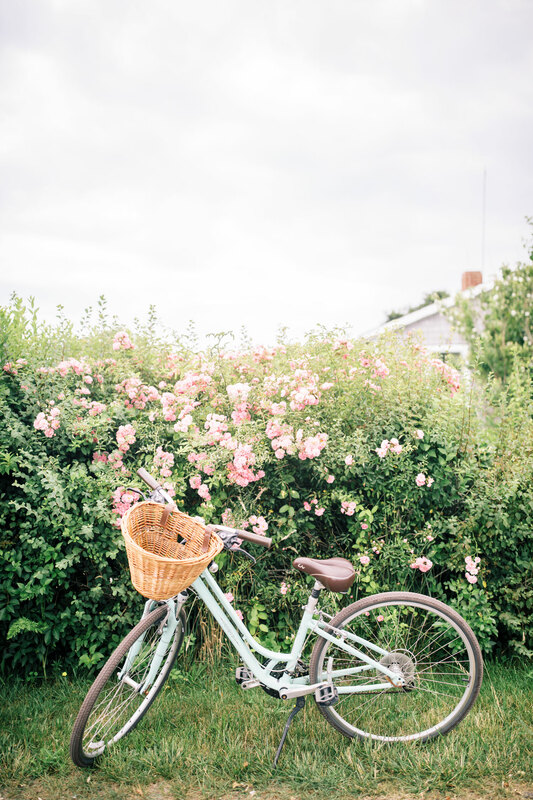 Last week, Blare June and I had the opportunity to visit this charming island. With only three short days, we made sure to soak in all that it had to offer. 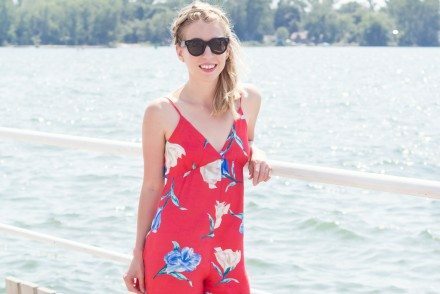 Whether it was dinning at the most talked about restaurants around town or visiting the most instagramable locations, we hit the ground running the second our plane landed. 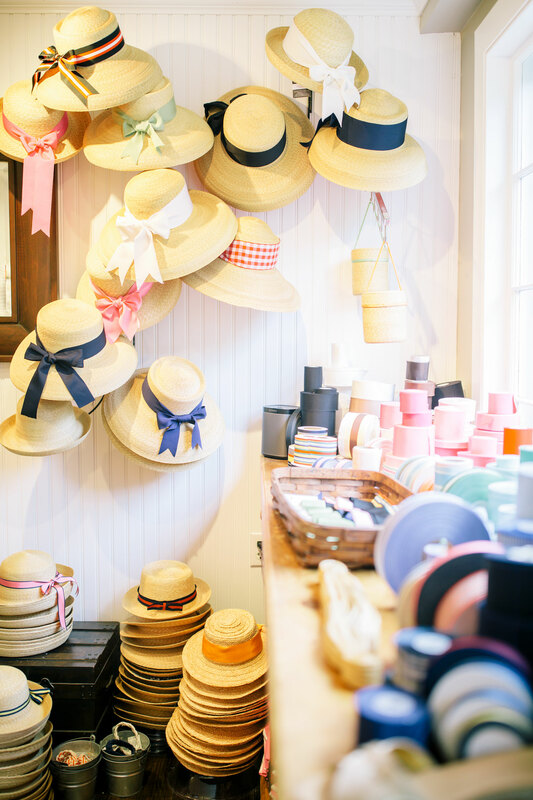 Come along our Nantucket adventure with us as we show you what we squeezed in over our three-day trip. 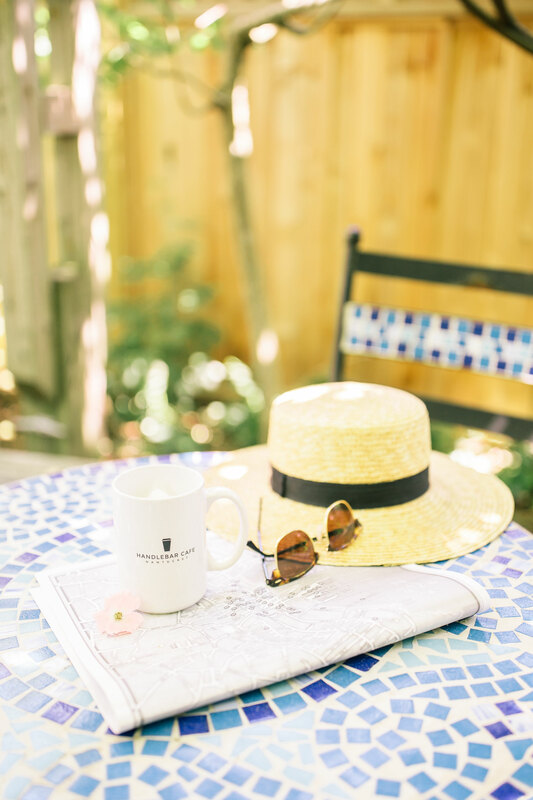 Where To Stay in Nantucket 21 Broad: For me, researching accommodation for an upcoming trip has always been the first and most important step when planning an adventure. Although some vacations, like this current trip, may be spent more outside than inside, I always appreciate coming back to a hotel that feels like home. 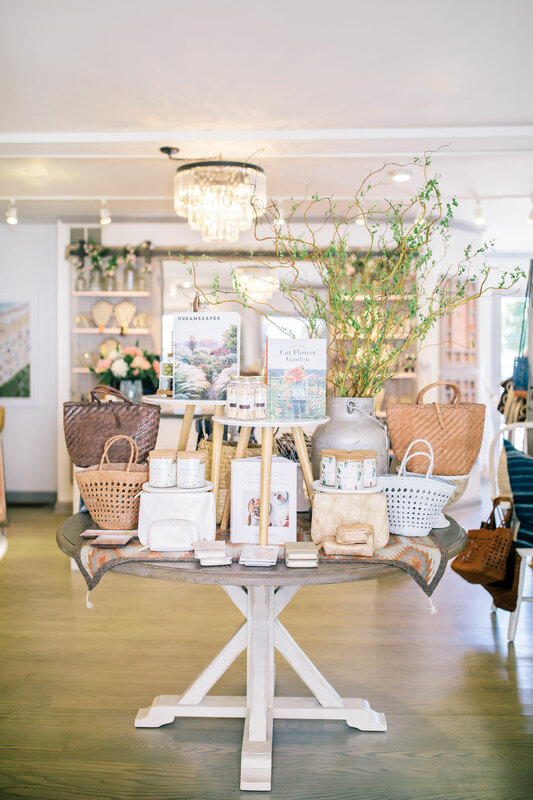 21 Broad is a boutique inn located in the heart of Nantucket and was not only an incredibly convenient location but fit my charming Nantucket vision. 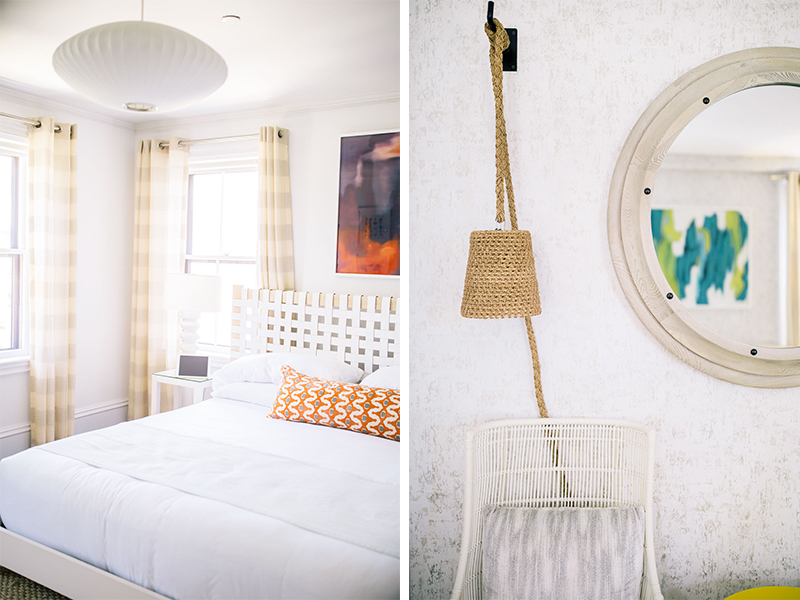 This beautifully decorated inn felt relaxing and laid back after each day of exploring. With a large patio and self-serve breakfast and happy hour, to say we made friends with the other hotel guests during our stay would be an understatement. 21 Broad also has a sister property, 76 Main, that looks equally as unique and charming. Although we didn’t get the opportunity to visit this second location on this trip, there is always next year….right? Prior to visiting Nantucket, Blare reached out to a few friends whom are regular visitors of the island. 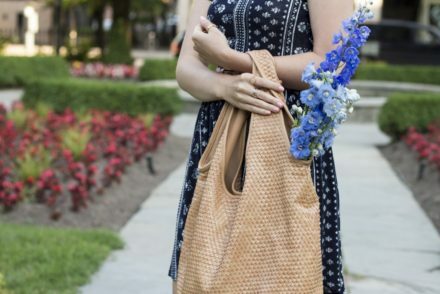 I was surprised to learn how many restaurants came highly recommended on such a small area. Due to our trip being solely three days, I knew we’d would have to be strategic in planning our food map. With great planning and having daily afternoon ‘snacks’ (aka another meal), I can say confidently we conquered a lot of ground. Breakfast at Greydon House: Greydon House came recommended for both breakfast, dinner and drinks. However, after scanning the menu and spotting avocado toast, breakfast seemed like the only option. Greydon House was a few short steps from 21 Broad and was the perfect location for the most important meal of the day. Breakfast at Lemon Press: If you are looking for a fresh option including smoothies and bowls then Lemon Press is for you. 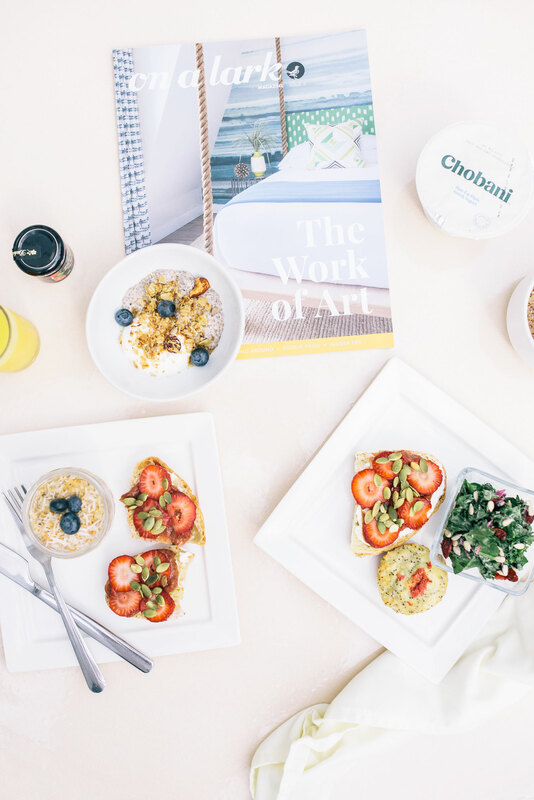 This adorable sit down or grab to go café has an array of different colorful and healthy options to choose from. 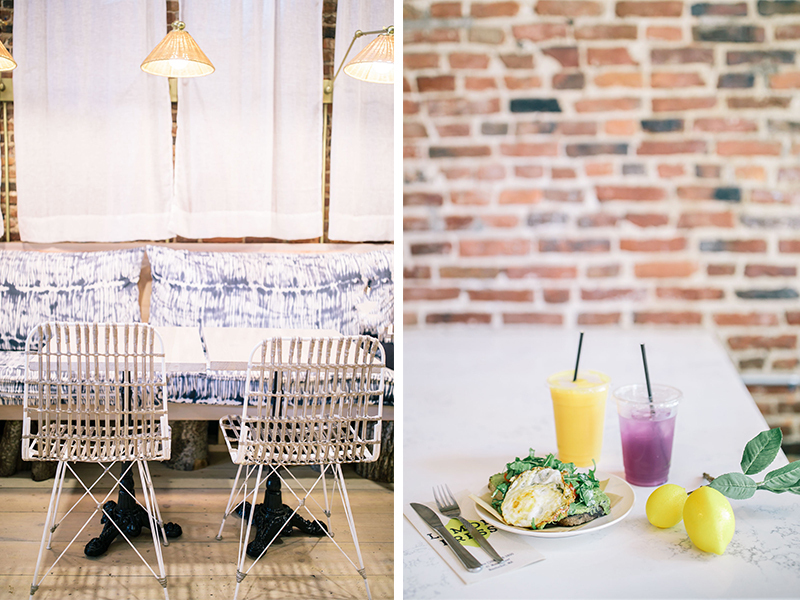 Blare and I opted for the Liquid Sunshine Smoothie and the Lavender Lemonade (oh and the avocado toast….we just can’t resist). Coffee at Handlebar Café: It wouldn’t be a full itinerary without a morning coffee run. Handlebar Café is located just at the edge of town, across from The Wave bus stop. Whether you are heading to ‘Sconset or to Madaket, grabbing one of their delicious coffees before jumping on The Wave is the perfect setup. Lunch at Millie’s : Regardless of where I visit, I can’t seem to resist a Mexican restaurant. I’ve eaten my fair share of tacos and guacamole in my lifetime and Millie’s can compete with the best of the best. 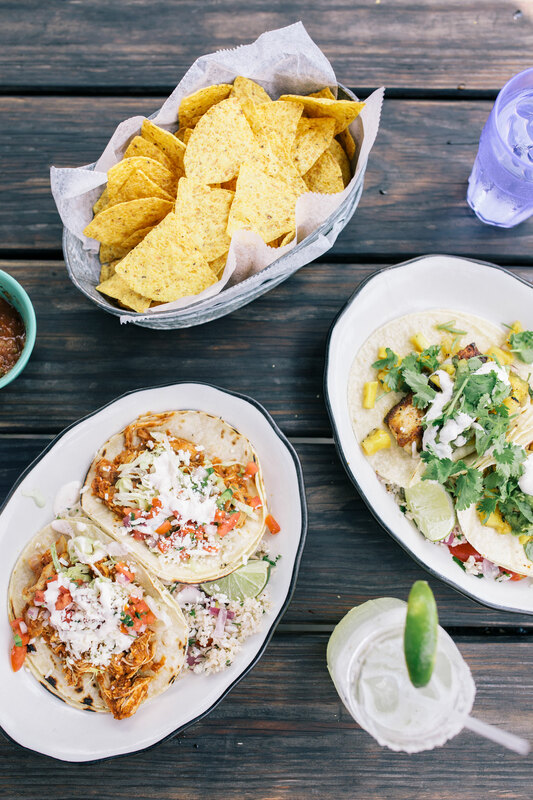 The laid back picnic table set up, delicious margaritas and fresh ingredients has me salivating as I write this. I look forward to the day Millie’s and I meet again. Lunch at Met on Main: Following our semi-long flight to Nantucket, a quick snack before dinner was the only thing on our mind once we landed. 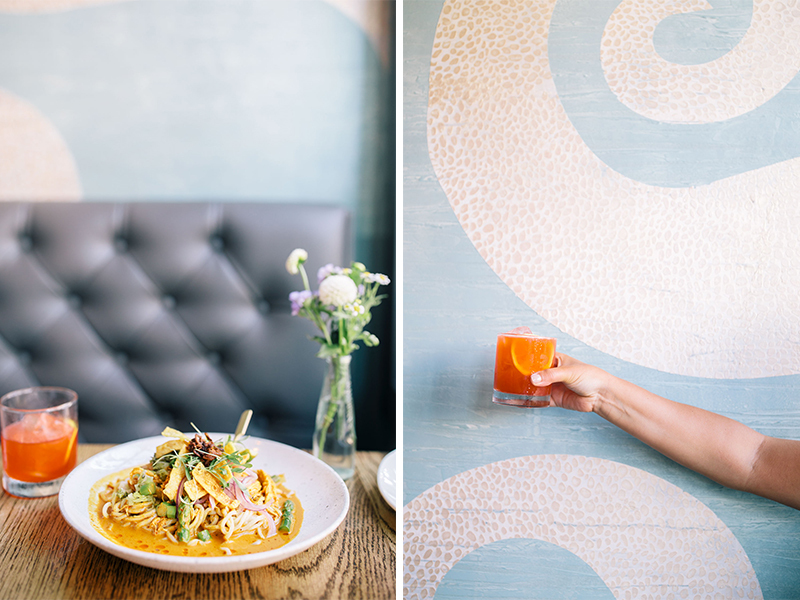 After we checked in to 21 Broad on our first day, Blare and I walked a few blocks over to Met on Main. We sat on their outdoor patio and caught up (because the flight was not long enough to ‘truly catch up’) over a delicious large plate of loaded nachos. 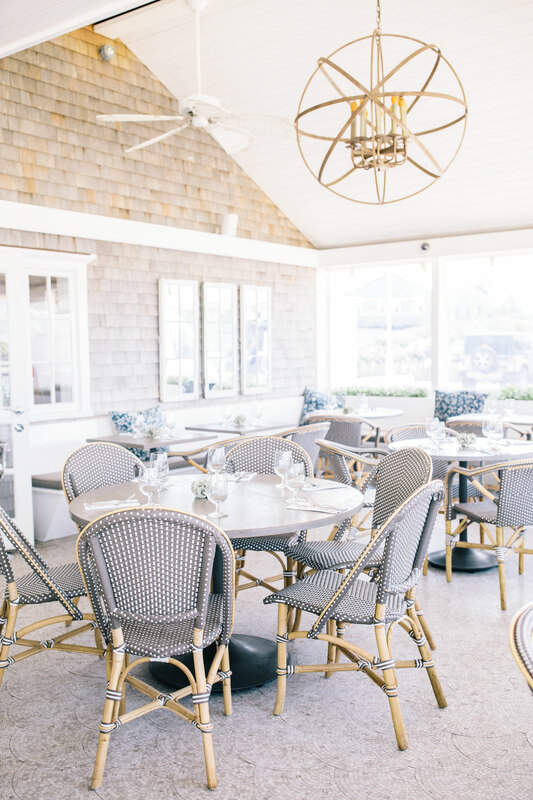 Lunch at The Summer House Beachside Bistro: Visiting ‘Sconset is a must when visiting Nantucket (see more below). After walking the Bluff Walk, we were in need for some more …. you guessed it… ‘snacks’. This laid back beachside bistro is the perfect location to rest following a day of exploring this area of the island. Ice Cream at Juice Bar: I can’t say I have ever seen a line for ice cream like I have seen for the Juice Bar. I also can’t say I have ever, before this experience, felt a long line is ever truly justified. Luckily, we lucky with the time(s) we choose to get our ice cream and had minimal amount of people in front of us. However, knowing how delicious each scoop is, I’d happily wait again and again. Dinner at Galley Beach: Our first night on the island, Blare’s dear friend, Jennifer Lake (@jenniferlake) and her husband, Bob, took us to Galley Beach. We enjoyed rose on the beach as the sun set and then a delicious beachside dinner into the evening. The food was absolutely delicious, the atmosphere was breathtaking but what really made this night so special was catching up with new and old friends. Dinner at The Nautilus: Although it is a close race, The Nautilus was my favorite meal during the trip. 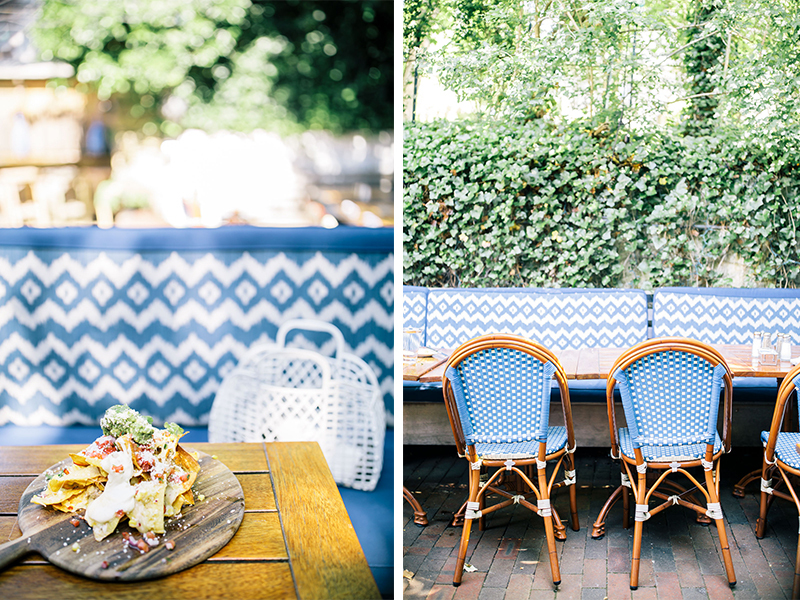 This quaint tapas restaurant backs up their adorable décor and long reservation line with the most delicious food and cocktails. 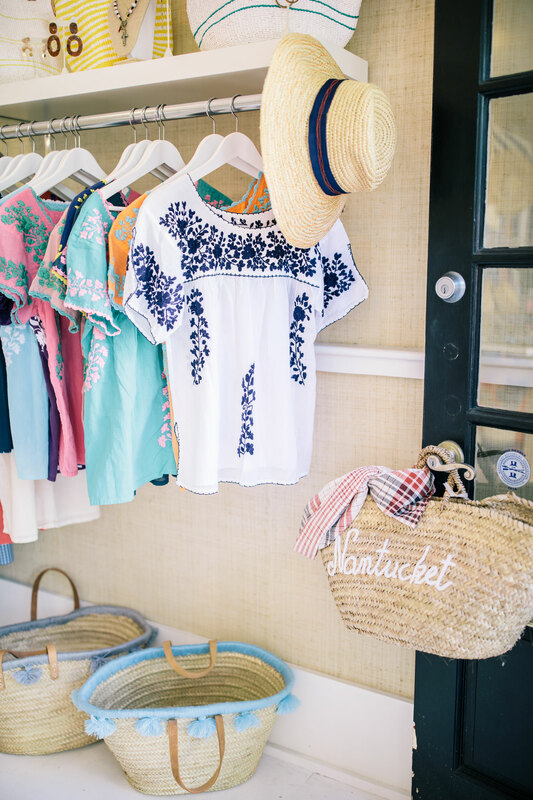 A Classic Beach Day: It’s hard to visit an island like Nantucket without visiting the beach. Nantucket is really just one large beach although hopping from beach to beach was a longer distance than I could have imagined. 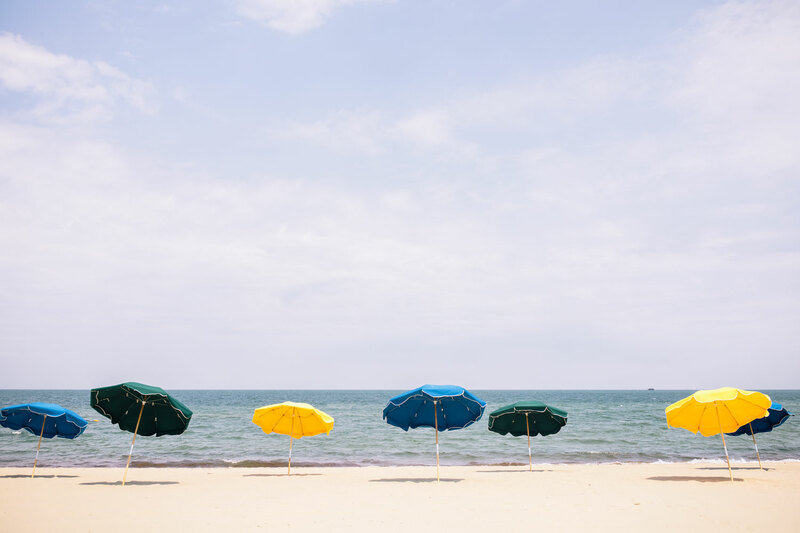 Regardless what area of the island you explore, it is guaranteed you will find a beautiful beach to spend time at. Our favorite beach was Surfside beach but other great options include Sconset beach and Steps beach. ‘Sconset Bluff Walk: As mentioned above, you can’t visit Nantucket without exploring ‘Sconset and walking the bluff walk. 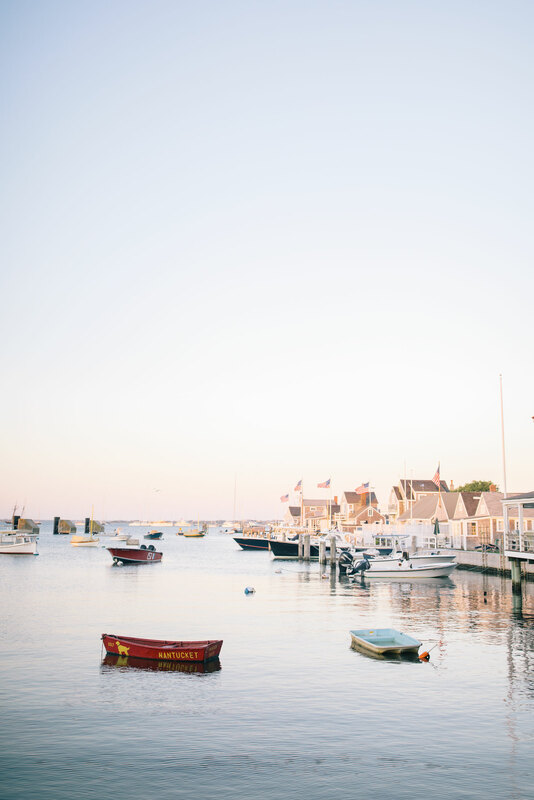 This beautiful area of the island is likely what comes to your mind when you think of Nantucket. 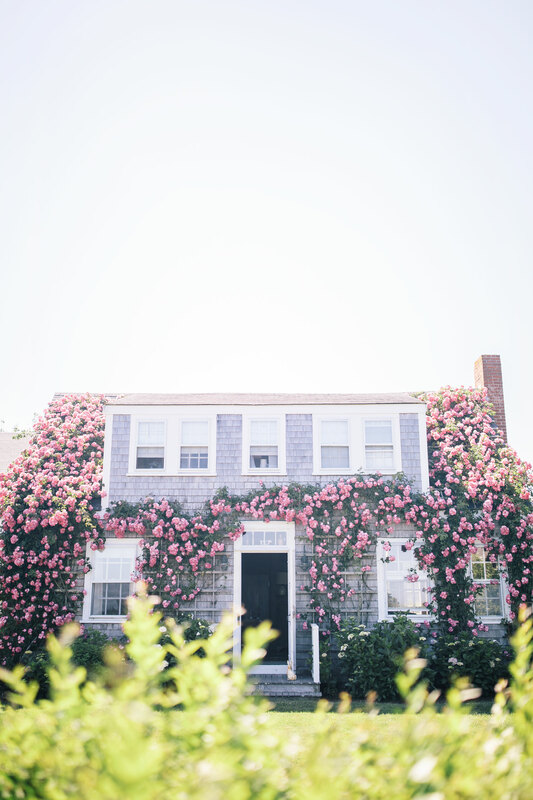 The charming houses are covered in flowers, the pathways to each house are crooked and magical and the edge of the cliff that you can walk in situated in the front yards for the most beautiful Nantucket estates. Visit the Lighthouses: Another thing that may come to your mind when thinking of Nantucket (at least it always did for me) are the Nantucket lighthouses. There are a few lighthouses on the island and are as picturesque in real life as they appear on Instagram. 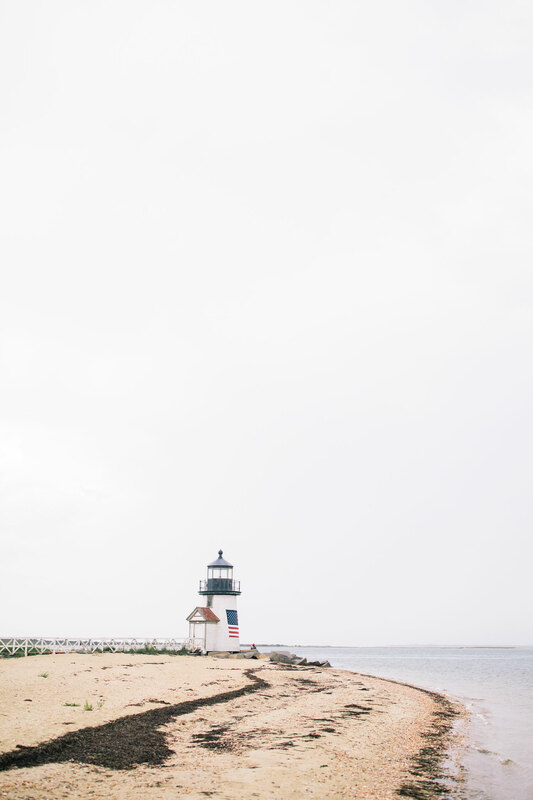 Although we couldn’t make it to every lighthouse on our list, I am happy we choose Brant Point lighthouse as our top choice. 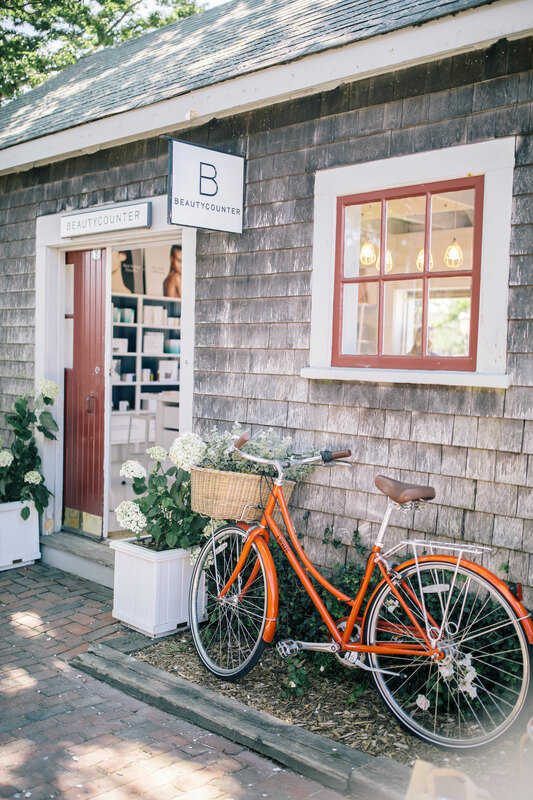 Bike to Madaket: During our many stops at The Juice Bar, we noticed a bike rental shop a few doors down. Blare and I thought it’d great way to see the island but also get some exercise under our belt during the trip. Due to Millie’s being a little further out of the way than the other locations on our list, we knew we required some sort of transportation. Blare and I continue to talk about how biking to Millie’s in Madaket was one of the highlights of the trip. 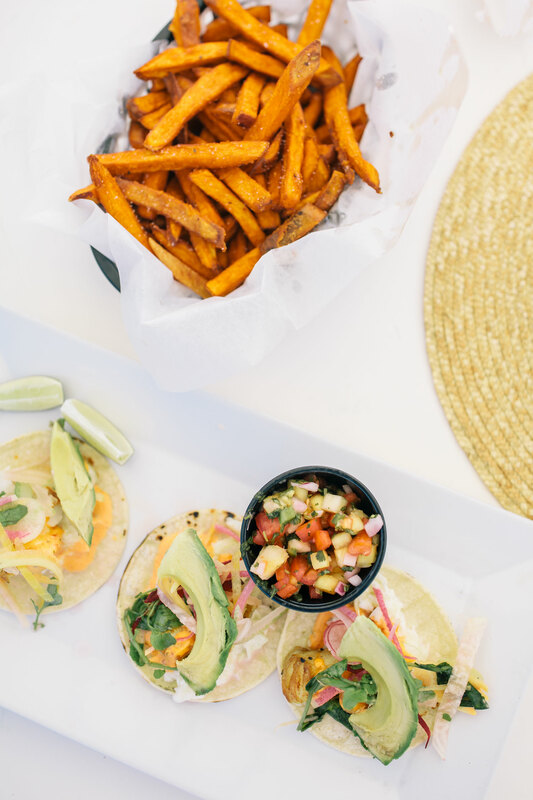 With a beautifully groomed bike path and amazing views of the island, the bike ride was not only enjoyable but was the perfect excuse for an extra taco or two ….but who is counting? 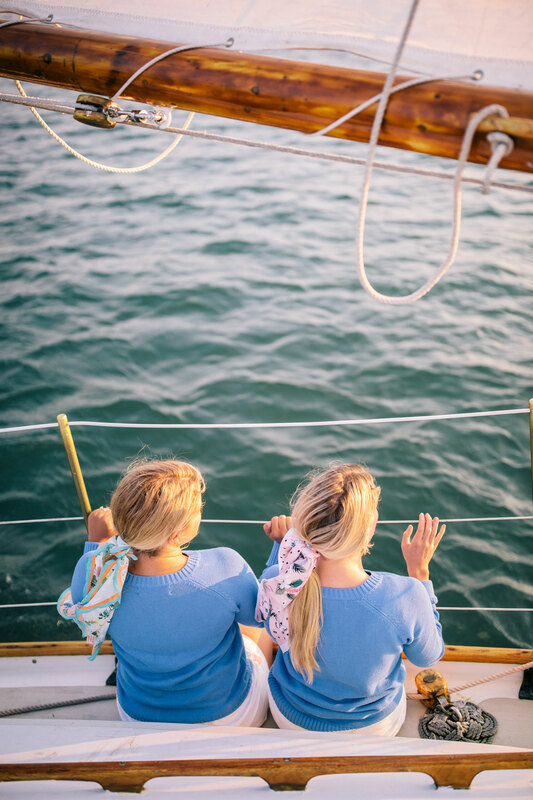 Take A Sunset Sail on The Endeavor: Another highlight of the trip was our sunset sail on The Endeavor. The skies were so clear the night we embarked and the views around the island gave me another perspective on how truly beautiful this island truly is. 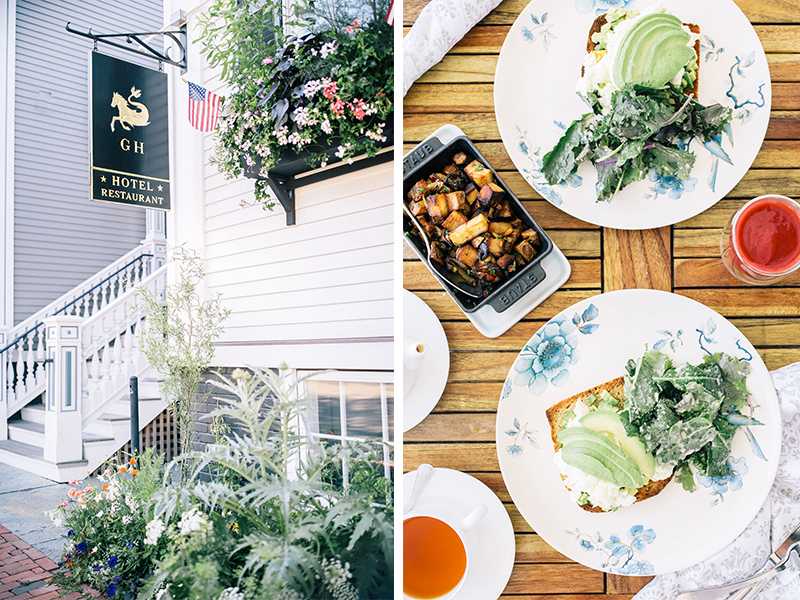 Nantucket truly stole our hearts last week and it is definitely a spot I’d love to visit again. Until we meet again ACK. 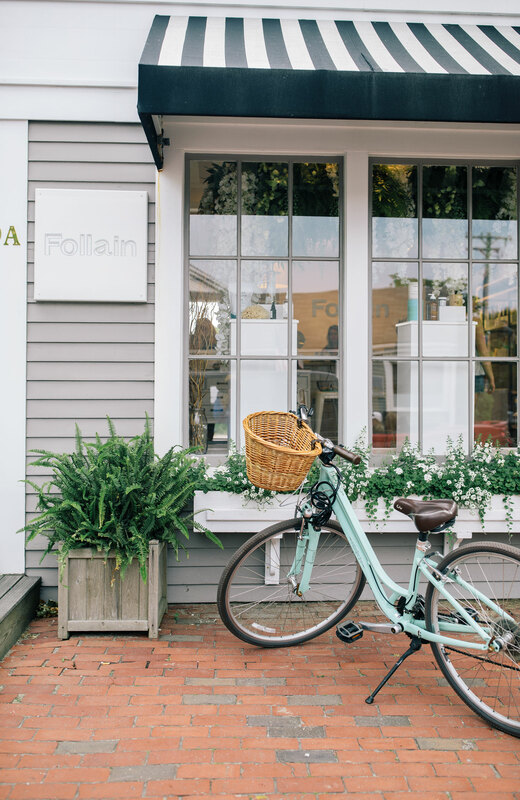 Thank you to Blare June for being the best travel buddy and to Lark Hotels for hosting us at one their beautiful Nantucket locations.